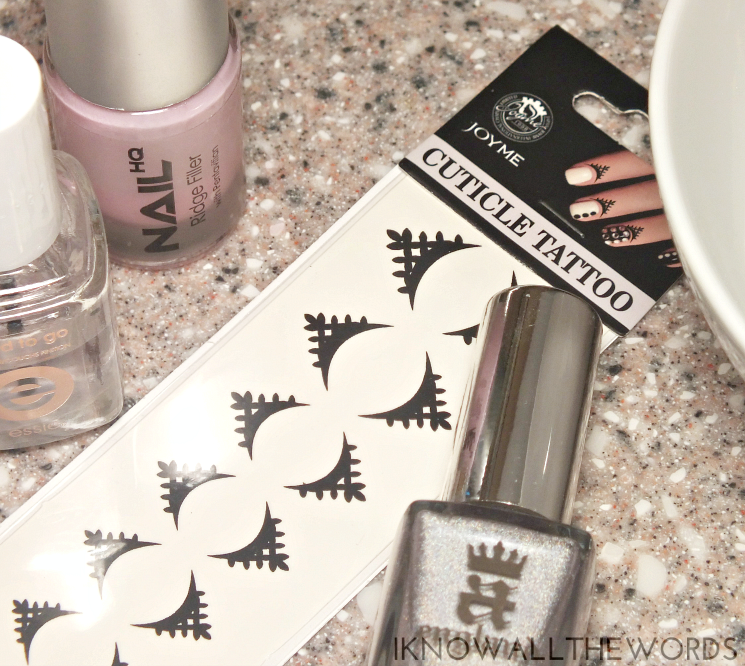 First nail decals, which are really just temporary tattoos, but now actual temporary tattoos. Who would have guessed they'd be so trendy? I mean, most of the time, they end up looking super fake, with a sheen, and transparent outline from the backing. I can't see myself reaching for a sheet of temporary tattoos for my body, but for my cuticles... That sounds kind of interesting. 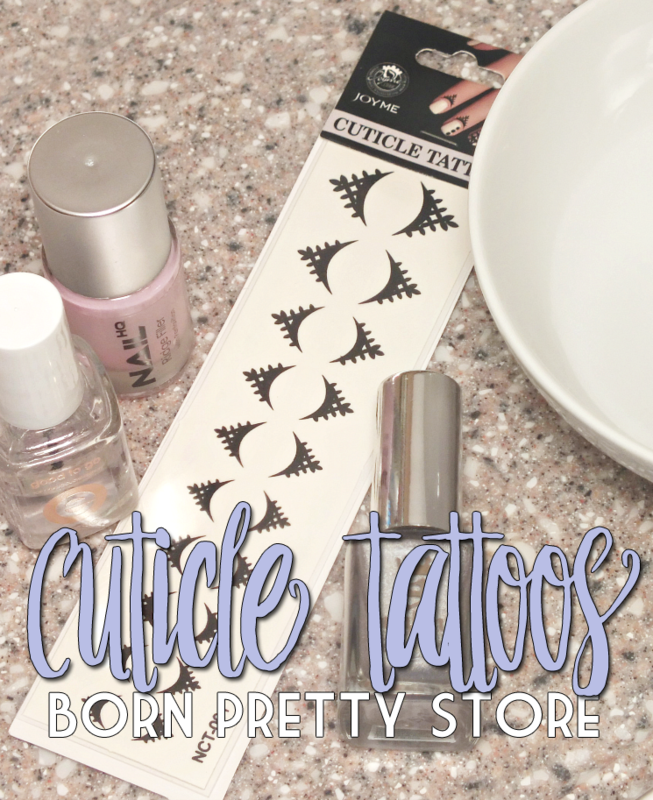 It was with that though in mind that I accepted a sheet of Born Pretty Store Cuticle Tattoos for review. How did they turn out? Read on for a look! Not too bad! I mean, they do have a bit of that tell-tale temporary tattoo sheen, but what did you expect? The set of cuticle tattoos includes enough for all ten fingers if you really want to tat yourself silly, but I opted to just apply one, as an accent. Applying these is as easy as trimming them, placing them, and using a wet paper towel to press them down. A moment later, you peel off the backing, pat it dry, and you're done. I think I said it was easy. Didn't I? I love the look, it's a bit different, and edgy. I found my tattoo only lasted for the day, what with repeated hand washings and a load or two of hot, soapy dishes, but a day was all I really needed. 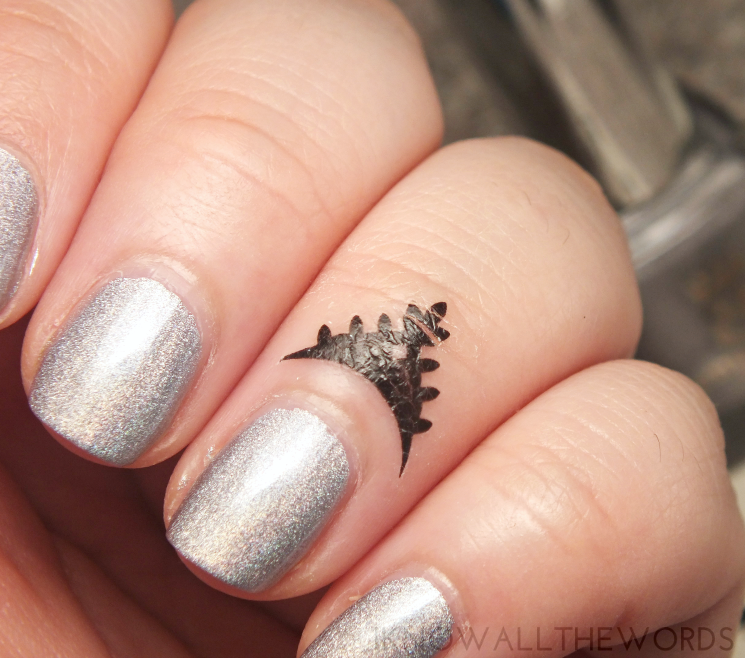 What do you think of cuticle tattoos- yay or nay?